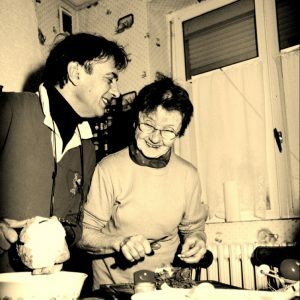 Despite the countless culinary and business achievements of his career, Raymond Blanc still says he owes much of his enthusiasm and skills to his mother – Maman Blanc. 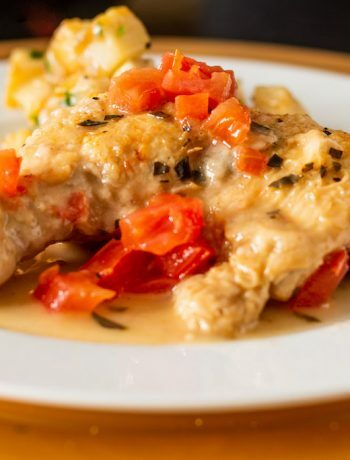 This recipe is named after her, and like much of the cooking that Raymond Blanc took from his mother’s kitchen, it incredibly simple, and thereby lets the quality of the produce speak for itself. 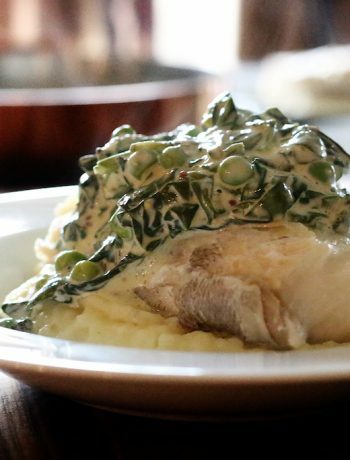 I first saw this recipe cooked by Raymond Blanc on James Martin’s Saturday Kitchen on the BBC. In that episode, the celebrity guest was Al Murray. Murray is a famously down-to-earth person, and the kind of guy for whom cooking a slab of bloody meat in a pan with a pile of butter was always going to evoke a comedically exaggerated approval. When Blanc conducted the final flourish and poured the deglazed pan juices back over the steak, Murray’s eyes were on stalks, and he was salivating from every pore. From there, this recipe has popped up all over the place. The accompanying potatoes are a go-to recipe for Raymond Blanc when he needs a quick, crowd-pleasing dose of carbohydrate. 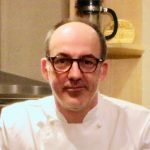 You can find them written down in his Simple French Cookery as the accompaniment to chicken fricassée. Heat the olive oil in a large frying or sauté pan. Once hot, add the potatoes, toss them in the oil and colour them slightly to stop them from sticking. Reduce to medium and cook for 15 minutes until golden and crisp with a soft centre. Meanwhile, cook the steaks. Heat 15g of the butter in a grill pan until it starts to turn slightly brown (a beurre noisette). Season the steaks liberally, and cook them in the butter on a medium heat without touching it. Once a crust has formed (blood spots tend to appear on the uncooked surface of the steaks at this point), turn the steaks over and cook until done to your liking. Use your thumb and fingers to determine the doneness by touching your finger to your thumb and pressing your palm thumb pad with the other hand. Forefinger for rare, middle finger for medium rare, ring finger for medium. If you like beef well done, you have no business cooking steak. Rest the steaks on a board while you finish the potatoes and sauce. Keep the steak pan on the heat. Add the shallots, parsley and the rest of the butter to the potatoes, and toss them together (you may want to sponge off some of the oil first with a kitchen paper). All you are doing here is melting the butter and heating the shallots – you are not looking to colour or cook the shallots through. Season. Turn the steak pan up high to make the butter very hot. 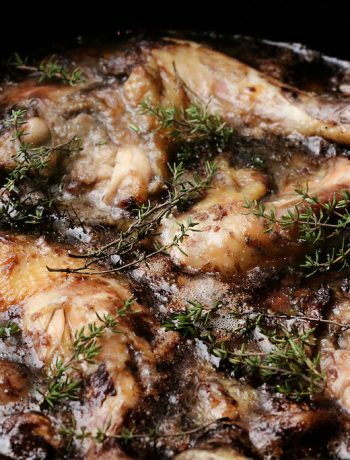 Pour in 100ml of water and stand back while it deglazes, sizzles briskly and reduces. The high heat enables the butter and water to emulsify in a way that they don't do at lower temperatures. Arrange the steaks and potatoes on a plate and pour the pan juices over the meat. You can do the deglaze step with other liquids. I find red wine or brandy to be particularly good. The brandy can be done while the steak is still in the pan, and flambéed if you are feeling frisky. 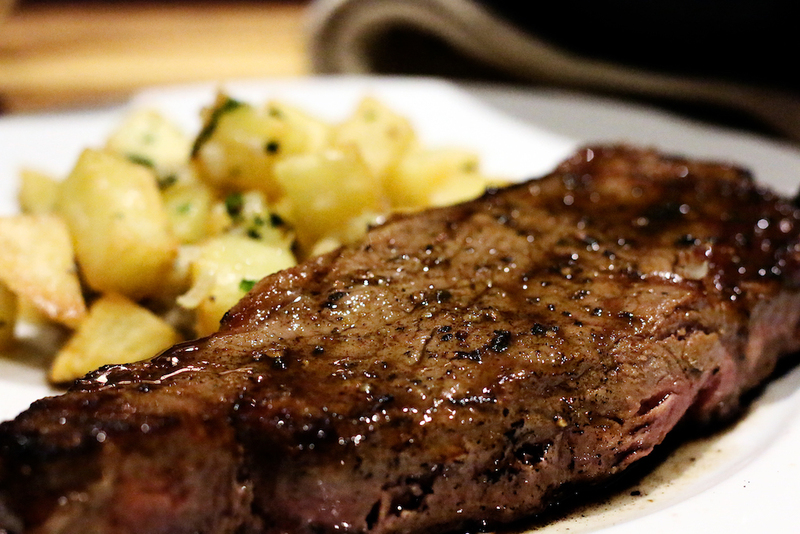 Wine pairing: With steak, you don't need to look very far beyond an Argentinian Malbec. Majestic wine carry their highly regarded Montes Reserva Malbec 2014 Colchagua Valley for £7.99 a bottle. If you want something a bit more up-market, then Waitrose will sell you a very good Château Cantin Saint-Émilion Grand Cru for £25.99.